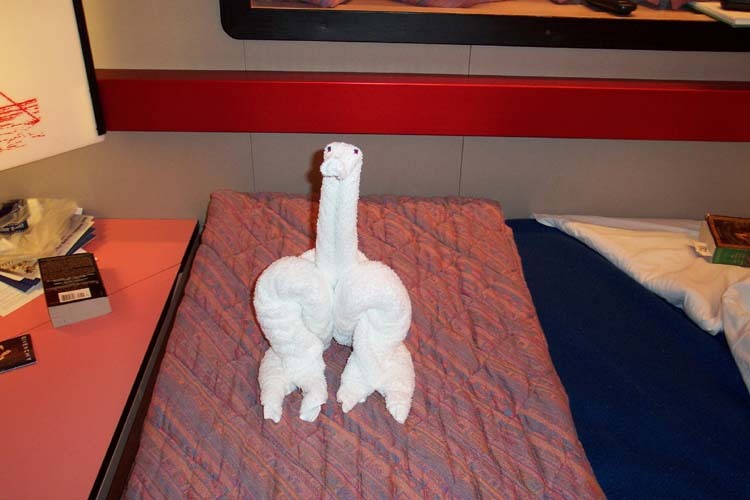 Not sure about this one....we decided it was a Towel Armadillo. 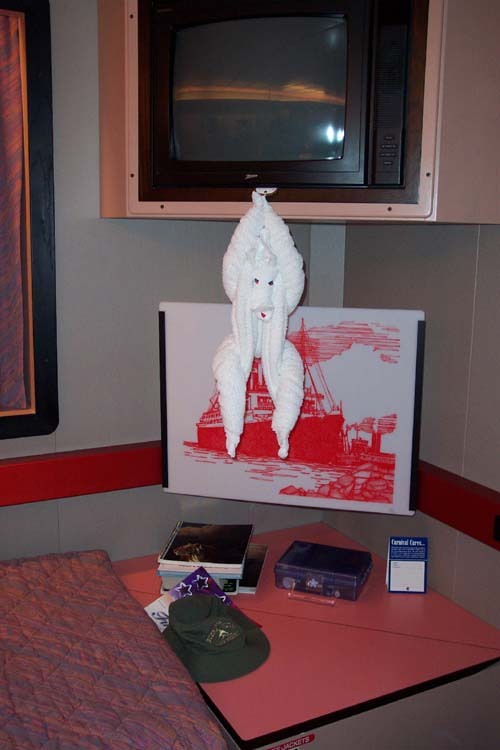 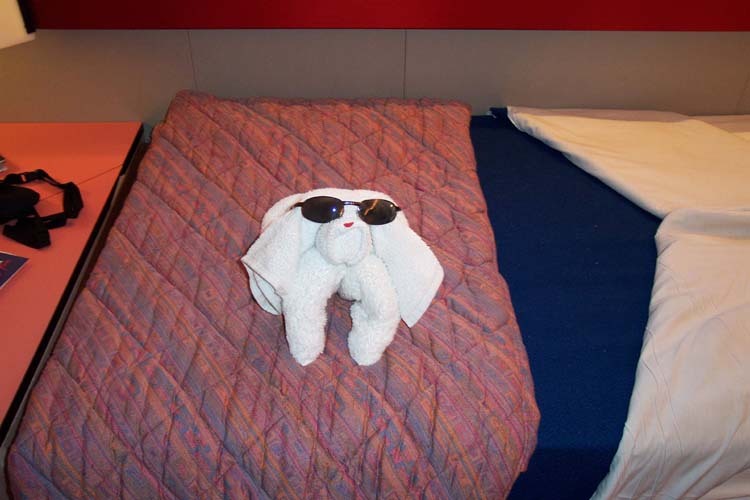 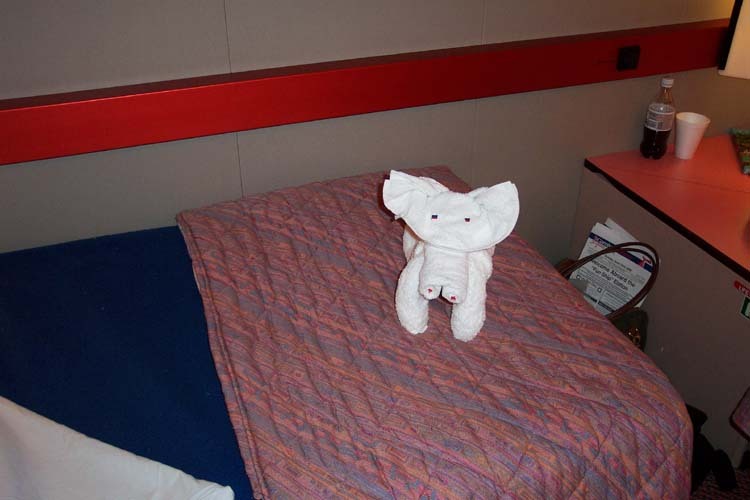 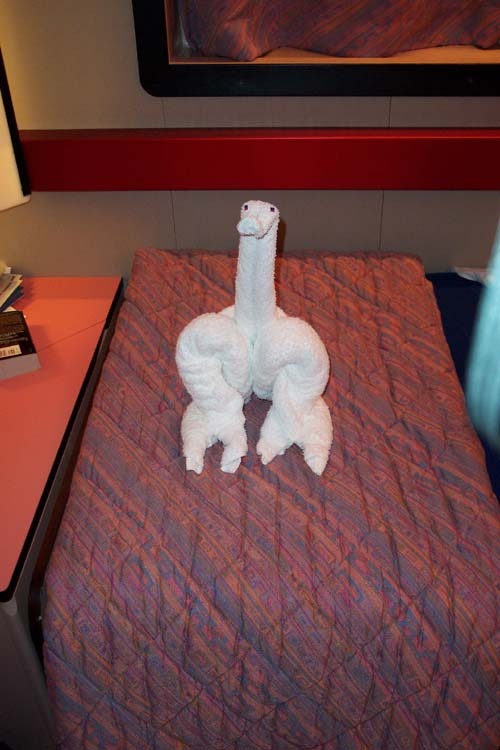 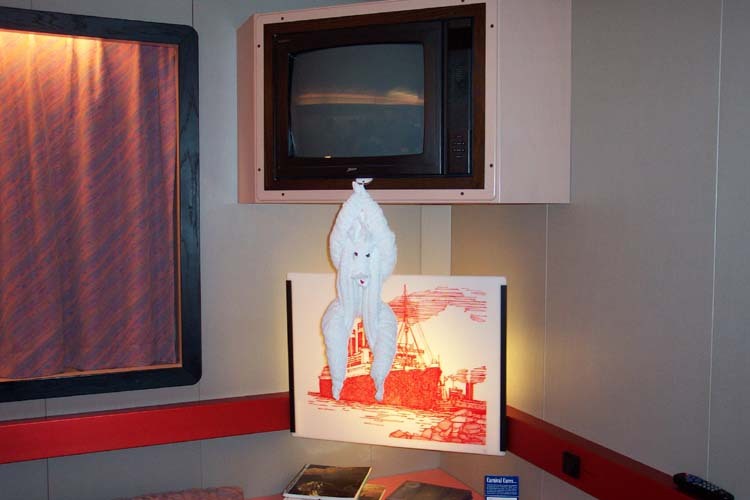 The Towel Monkey, hanging in front of the lovely lighted ship picture. 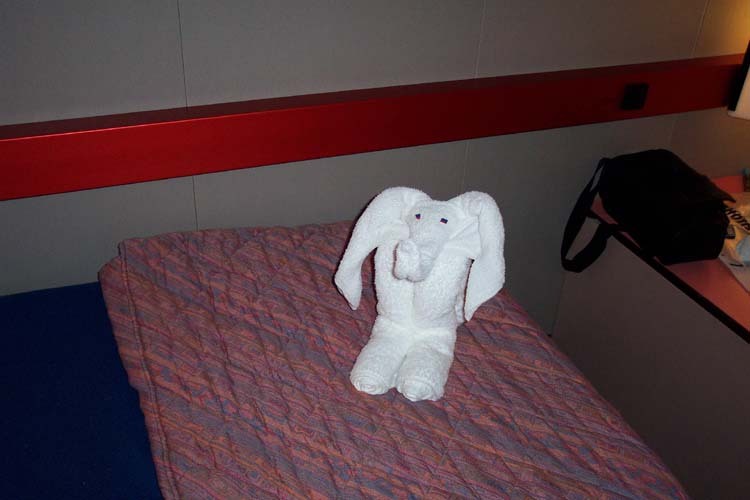 Another view of the Towel Monkey.